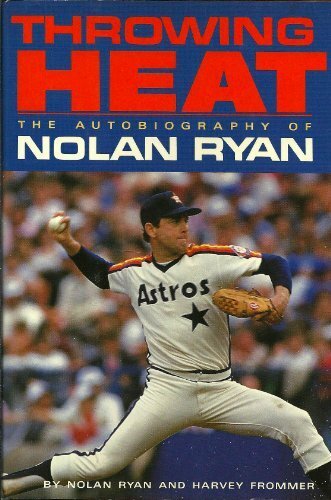 Coauthored with freelance writer Frommer, this straightforward, no-frills autobiography of one of the most successful pitchers in history, the man whose "heat" has been clocked at more than 100 miles an hour, makes pleasant reading. Ryan got into professional baseball largely through the efforts of a scout for the New York Mets; in the big leagues, he set all sort of records, to which he is still adding at age 41. The only hurler to have achieved five no-hit games, he is also the all-time leader in strikeouts and strikeouts per nine innings; on 22 occasions he has had 15 or more strikeouts in a game and 173 times he has struck out 10 or more, also records. He has pitched for the Mets, the Angels and the Astros, and has been a key figure in five divisional races, but remains a down-home Texan, a fact attested to by the managers, umpires and players whose quotes are included here. Photos not seen by PW.